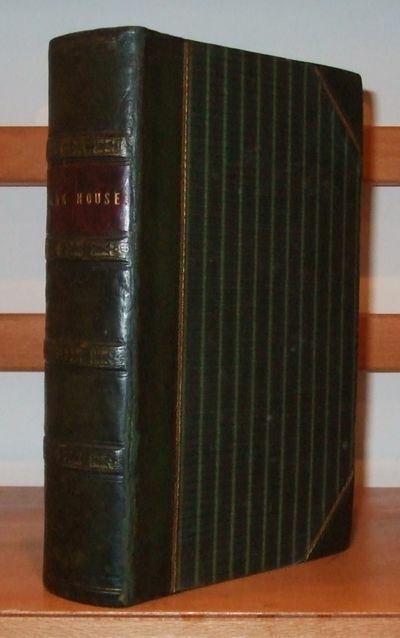 London: Bradbury and Evans, 1853. First edition. First issue, with all three typographical errors present: p.19, line 6: '' elgble '';p.209, line 23: '' chair '' instread of ''hair'': and p.275, line 22:''counsinship'' instrad of ''cousinship'', plus the errata printed in five lines.Collation, xvi,624pp, 39 plates, complete as index. Bound in periof half calf, calf corners, decorative cloth boards, gilt lines, raised bands, gilt tooling, leather title label, full marble edges and endpapers. At some time, [ not recently ] the binding has been repaired. Binding lightly rubbed, gilt faded. Binding in very good clean firm condition. Internally, some light tanning/spotting to plates. Pages and plates in very good clean condition. A very nice copy. . First Edition. Period Half Calf. Very Good. Illus. by H. K. Browne . 8vo.